Houston Rockets forward Donatas Motiejunas is in the conversation to be Houston's starting power forward next season, but it sounds like he won't be able to earn that spot early on in training camp. According to Jonathan Feigen of the Houston Chronicle, Rockets head coach Kevin McHale said that Motiejunas won't be physically cleared for the start of training camp. Motiejunas is still recovering from a back injury that ended his season last year and forced him to miss all of the postseason. 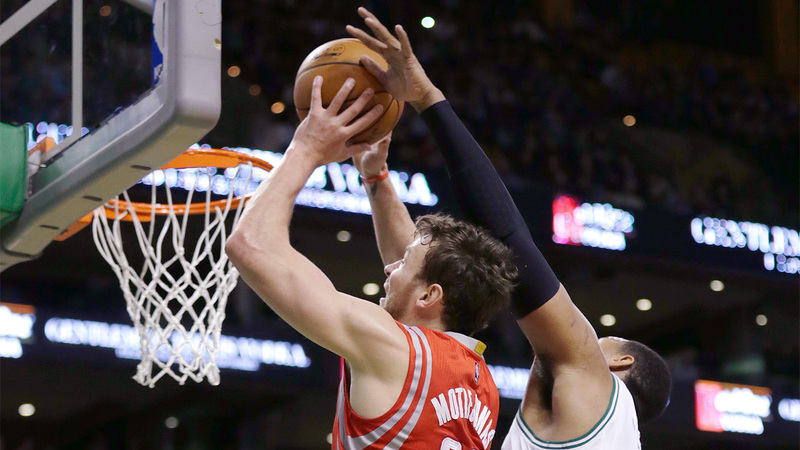 Along with fellow power forward Terrance Jones, Motiejunas is in the final year of his rookie contract this season. McHale added a couple nuggets. Reiterated that Motiejunas won't be cleared for start of camp and Harrell signed, due in town next day or 2.